Amazon is a competitive marketplace where prices are constantly changing. It is estimated that Amazon changes its prices more than 2.5 million times daily. On the marketplace, which is responsible for 50% of all US ecommerce sales, third-party sellers compete against each other to win the Buy Box (the Add to Cart box where around 90% of sales on the marketplace go through). To improve their chances of winning the Buy Box and winning it at a higher margin, many sellers are turning to Amazon repricing software (also known as repricers). When you first start selling on Amazon, it’s likely you’ll only have a small number of listings and be able to reprice manually. But as your inventory grows, repricing will start to take up more and more of your time… And, let’s face it, it’s pretty tedious work! The main advantage of this is the price is already set for you and all you have to do is tinker with. Keystone pricing means to double down on the wholesale price. The biggest advantage of keystoning is its simplicity, BUT this strategy would only work if you're selling hot items (fad and trending), not heavily relying on supply-and-demand. Advantage: Your buyers will love discount and sales, but be careful not to do it too much- otherwise you'd gain a reputation of ''bragain merchant'' and you customers will start expecting discounts. This tactic can easily backfire, but it can also be extremely effective- depending on your niche. You can decide based on your competitors research to price your product higher if it makes sense to keep the power of exclusivity and trigger psychological response with customers. Always keep in mind the wholesale price you’re getting from your suppliers, as that’ll play a big role in being able to match and slightly undercut your competitors. Small retailer should remember that this practice isn’t sustainable over the long-term and your profit margin will become thinner than you’d like. So, what is a Repricing Software? At its most basic, repricing software allows Amazon sellers to automatically compare their product prices to competitors and adjust them accordingly. For example, your price might change in reaction to a competitor’s price change or when a key competitor on your listing sells out (this is just one of the scenarios where a repricer will easily pay for itself). Repeat after me: Repricing is NOT a race to the bottom! A strategy where you set yourself up to consistently be the lowest price seller will harm your margins and is not recommended. With all good repricers, you’ll set a minimum (floor) and maximum (ceiling) price you are prepared to sell at and your price will never go below or above that. Why would you use a Repricer Software? Information that Amazon releases to the public domain and historical sales data on the marketplace shows that price matters (as well as other seller metrics including your seller feedback rating), and can have a major impact on your sales, product visibility and Buy Box chances. So, if you’re a seller who wishes to win sales and the Buy Box you need to ensure that your listings are continually priced competitively. If you’re a seller with hundreds of products, repricing these manually becomes near impossible. This is where repricing software can be a life saver. Saving time is just one of the reasons sellers choose to use RepricerExpress. But, it is the access to valuable sales data, the increase in sales, profits, GMV and Buy Box percentage that keeps sellers using a repricer. Related: When should you start using repricing software? Knowing when to price up or down? The first instinct of many sellers when they reprice is to go lower in an attempt to attract more buyers and sales. However, that’s only one strategy and not always a great idea when you consider long-term sustainability. There are lots of scenarios when it may make more sense to price up, not down. Take for example, when demand for a product dramatically increases and outstrips supply. This happens a lot in the Toys and Games category during the holiday season. By pricing higher in scenarios like this you can increase your margin and profits...Yay! Sellers should use a pricing strategy in line with their overall business strategy. It is important your repricing software allows you to decide who you want to compete with and who you don’t want to compete with. Everyone is different, so there isn’t a one size fits all for sellers. Repricing begins when one of the top 20 sellers for an exact item changes their active price, handling time, shipping price or offer. Amazon then sends a message to RepricerExpress with price, dispatch and seller information for the top 20 sellers. RepricerExpress analyses the top 20 sellers’ information and runs your repricing against them, calculating your new price. RepricerExpress performs checks on the new price to ensure it’s within your minimum (floor) and maximum (ceiling) values. Once verified, RepricerExpress uploads the new price to Amazon for processing. Amazon’s Pricing Error System checks the new price against your Amazon Seller Central account minimum and maximum prices. Once your price is verified, it is listed as your current price. This repricing all happens continuously in a 24-hour period, 7 days a week. It’s highly unlikely that Amazon will ever reveal its exact algorithm for awarding the Buy Box. What we do know is that Amazon assesses sellers on a number of key performance metrics that vary in terms of importance. If Amazon considers you to be Buy Box eligible, you will be a seller who has consistently reached the high standards it expects when fulfilling orders and providing customer service. Price is one of the most important factors when it comes to awarding the Buy Box and getting sales. Price too high and you won’t get any sales but price too low and you might not make a large enough profit to reward your efforts. A common Buy Box myth is that the lowest seller will win the Buy Box. This is categorically not true and there are many examples where a higher price has been awarded the Buy Box. Automated repricing software allows sellers to experiment with pricing to ensure they’re obtaining their maximum margin (profit) from their sales. This process is known as price optimization. Feedback is another key factor when it comes to awarding the Buy Box. You should aim to maintain a seller rating of 95% or higher — that equates to just one bad review from every 20 reviews left by customers. 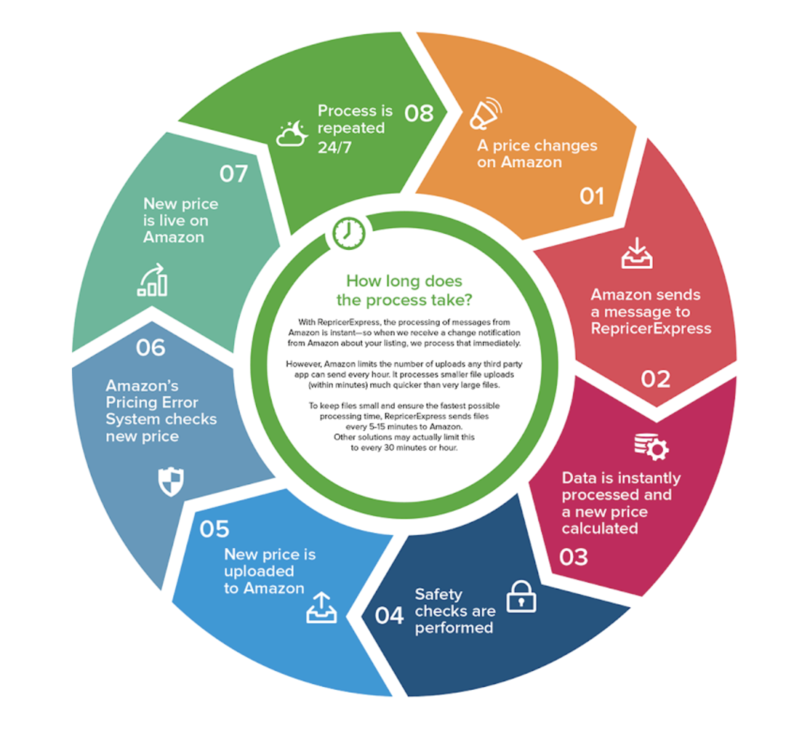 Preventing negative feedback is just one area where automated Amazon feedback software like FeedbackExpress can help sellers. You’ll receive an alert via SMS/email when you receive negative feedback, allowing you to deal with it before it potentially becomes an issue. Inventory levels and keeping products in stock is also very important when it comes to the Buy Box. Showing Amazon you can consistently fulfil orders will help you win the Buy Box consistently. Once you’ve received the order, the next part is ensuring you get it to the customer on-time or ideally, ahead of schedule. Amazon usually expects orders to be with the customer within two days of an item being purchased. Finally, being part of the Fulfillment by Amazon (FBA) program can help you excel at fulfillment. Plus, you’ll be exempt from any negative reviews which are related to shipping and fulfillment, as Amazon is responsible for this side of things with FBA. To stay competitive on Amazon, you can choose to reprice manually or automatically. The former is time-consuming, boring and ineffective. By pricing automatically, you’ll save time, be more effective and keep your prices competitive 24/7 — even when you’re asleep! And, just like learning to drive a car, you’ll need some help and guidance to get you on the road. This is where our great customer support team come in. They’re available on live chat, phone and email during your 30-day free trial to answer any questions and hold your hand. If you'd like to try our software- the usual free trial is 15 days, but we’ve decided to extend that to 30 days of free trial for any seller who signs up to RepricerExpress using the promo code JUDO30. 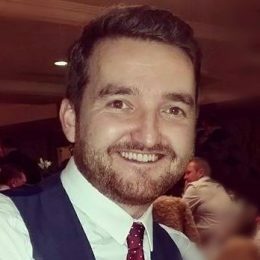 Chris Dunne Marketing Executive at RepricerExpress with a passion for all things digital.